Agree or Disagree: Weapon Manufacturers can’t call themselves Christians. This was a statement made by Pope Francis on Sunday. He specific statement was anyone who manufacture weapons or invest in weapons are hypocrites if they call themselves Christian. “It makes me think of … people, managers, businessmen who call themselves Christian and they manufacture weapons. That leads to a bit a distrust, doesn’t it?” he (The Pope) said to applause. He goes on to speak about the “tragedy of the Shoah,” the Hebrew term for the holocaust. “The great powers had the pictures of the railway lines that brought the trains to the concentration camps like Auschwitz to kill Jews, Christians, homosexuals, everybody. Why didn’t they bomb (the railway lines)? Imagine for a moment that you were at the Pope’s message on Sunday. Would you stand up and applaud. Do you Agree or Disagree with the Pope’s statement? Agree or Disagree: It’s time to remove the Catholic School System. If you missed it Friday, Luke Fevin and I were on the Ryan Jespersen Show in Edmonton. It was Faith vs Atheism. Now, some of you might have been expecting more of a battle…..and you would have been a bit disappointed. Because we didn’t “fight”. We had more of a discussion. Part of the reason for that is this was a unique opportunity. It’s very rare that a radio show goes into something like this. So, there was some unpacking to do. There still is. However, there was a debate.Specifically around the issue of Catholic Schools. And the question around if there is a need for a Catholic School System. Here is where I see benefit for a Catholic School System. -There are still over 800,000 Catholics in Alberta. There would be many families that do benefit from this. There is a sense of community and connection and shared values. It is an opportunity for families to have additional education and exposure to their religion other than the home. That being said, there are some concerns. First, how they handled the GSA issue. Many Catholic parents and families were rightly angry on how this was handled. Which, quite frankly, was poorly. Second, the idea of a specific religious school for a religion for many seems outdated. They see religion as damaging to people. So, while Luke and I did not unpack this as much, the topic is very important to many. I would imagine and expect Luke and I will be involved in other dialogues like this. But do you Agree or Disagree that it is time to remove the Catholic School System? Please be respectful in your dialogue. 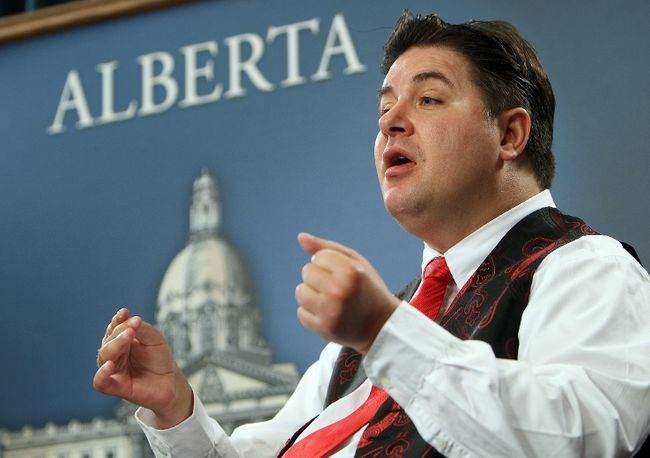 Kent Hehr and I discuss the recent issues around Bill 202 and Bill 10. We also spent some time discussing Provincial and Federal politics as well. -the impact of oil prices and when Prentice could call an election. -Why he feels it’s important that we have a Liberal MP from Calgary. Follow Kent on Twitter. He posts a lot of content. Like Agree or Disagree: The Podcast on Facebook.